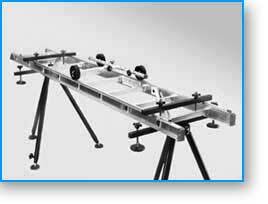 The portable MICRODOLLY Basic Kit Camera Dolly and Dolly Track System is purpose built for crews that must travel light and set up quick. It weighs only 10 pounds (4.5 kg) and fits into a Soft Case only 34 inches (86 cm) long. The Track is spring loaded and snaps together as it is unfolded. The Dolly with 13 feet (4 m) of Track can be set up in less than two minutes and will carry a video camera or film camera weighing up to 100 pounds (45 kg). Silent, smooth, bump free camera moves can be accomplished much quicker than with conventional dollies and dolly equipment. The MICRODOLLY Camera Dolly System is precision built portable camera equipment for durability as well as ease of setup. 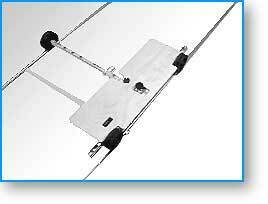 Additional Straight or Curved Track can be attached in seconds. A wide array of Dolly accessories are available. 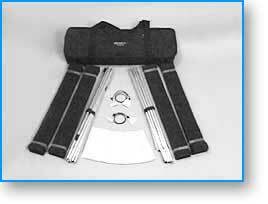 Pads and shims included in the Kit help you set up quickly on uneven surfaces such as sand, grass or snow. The Camera Dolly & Track Kit includes one "T"-Bar Dolly, 13 Feet (4m) of camera dolly Track, two 13 foot Track Pads, one Dozen Track Shims, one Ratchet Tie-down, one Wheel Wrench Tool, one Track Bumper and one Custom Soft Case. Straps to backpack kit are included. No tools are required to assemble. The Track is spring loaded and snaps together as it is unfolded. 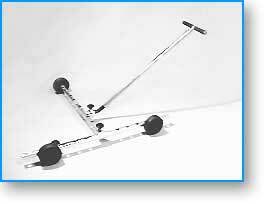 The Dolly and Track are made of hardened structural grade anodized aircraft titanium/aluminum and fold to a compact 30 inch (76cm) length. The Extra Track Kit is the complete track accessory for longer Dolly shots. The Kit includes two 13 foot (4m) Straight Track Sections, four 13 foot Foam Track Pads, 24 Shims, two Track Connector Kits, and one Custom Made Soft Case. All Tracks and foam pads fold to a compact 30 in. (76cm) in length. Curved Track may be substituted as an upgrade. Additional Straight Track Sections are 13 feet (4m) in length and fold to 30 in. (76cm). Extra Sections come with a Tube Bag for protection and a Track Connector Kit which joins track sections together. Of special note is the Curved Track from MICRODOLLY. Each 15 foot (4.5m) section turns 90 degrees on an 8 foot (2.5m) radius. Four sections make a full circle. 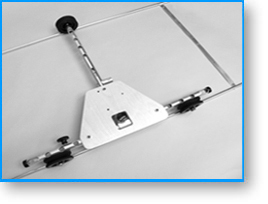 This amazing track folds to a compact 30 inches (76cm)and will fit in the standard MICRODOLLY Soft Case. 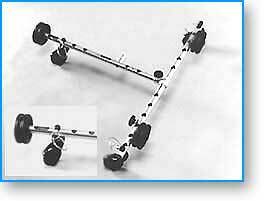 It works with the standard MICRODOLLY "T"-Bar Dolly and Straight Track. 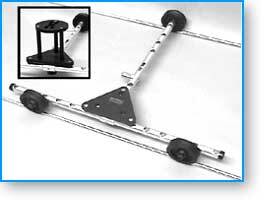 The Ladder Dolly Kit allows the Camera Dolly & Track Kit to be mounted to a standard extension ladder. It comes with a clamp set to attach track to the ladder, and a telescoping Camera Dolly T-Bar to adapt the Dolly to any ladder width. 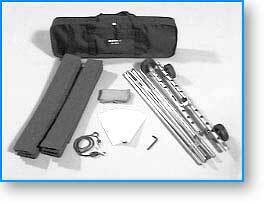 Four adjustable feet for surface mounting and two Tripod Adapter Plates to mount the ladder to a tripod are included. The Kit is made of military spec, hard-anodized aluminum/titanium and stainless steel. 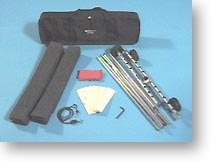 A ballistic nylon Soft Case is included. As the name suggests, these super light weight Non Skid Track Pads protect the surface and will not allow the Dolly Track to skid or move even when wet. Made from a fiberglass mesh dipped in neoprene and coated with a patented sticky material these Pads are temperature and water resistant. 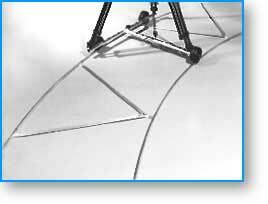 Each pair of Pads is 15 feet long and may be used with Straight or Curved Dolly Track. This handy accessory attaches to the T-Bar Camera Dolly and allows the Dolly to be pushed by someone other than the camera operator. 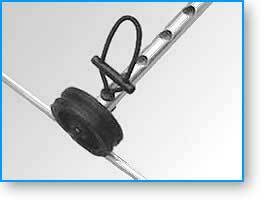 Crafted from sturdy, structural grade aluminum, with a carbon steel universal joint, the Push Bar is 50 in. (128cm) in length and closes to fit snugly into the Basic Kit Bag. Made of machined structural grade aluminum, this lightweight yet very sturdy Camera High Hat positions the camera just inches above the Dolly. Attaches in seconds. Will hold 75mm, 100mm and 150mm cups for mounting of ball leveled heads. 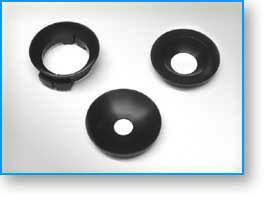 Imbedded "O"-ring prevents slippage. Designed for loads under 25 pounds. Platform size: 4 x 6 inches (10 x 15cm). This handy Triangle Plate mounts to the Dolly in seconds so that you can attach the Camera Plates from either the MICRODOLLY Riser Kit or Suction Mount Kit as a hi-hat for low angle shots. 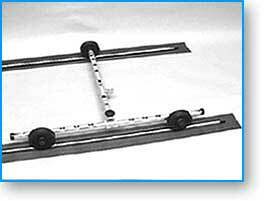 It can also be used off of the Dolly as a leveling plate. Will support up to fifty pounds. Comes in its own pouch. Size is 7" X 7" X 7" and 1" Thick. Made of 7 ply Finnish Birch, the Platform attaches firmly to the Dolly in seconds. Sealed for weather protection, it is perfect for carrying weights, batteries or field recorders. Fits neatly inside a MICRODOLLY Kit Bag. Platform size: 9 x 24 inches (23 x 62cm). Poly sealed for weather protection, the Camera High Hat Board is made of 7 ply Finnish Birch and attaches to the Dolly with stainless steel bolts. It is pre-drilled to mount either the MICRODOLLY RISER or the Camera Plate from the MICRODOLLY SUCTION MOUNT KIT. Any standard High Hat can also be attached. Platform size: 9 x 9 x 13 inches. Machined from durable high impact nylon, this set of three connectors snaps into place to quickly attach a tripod to the Dolly. 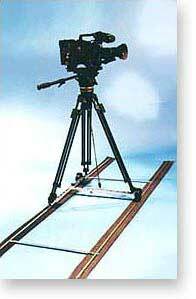 This allows the tripod to be easily adjusted while still mounted on the Dolly. 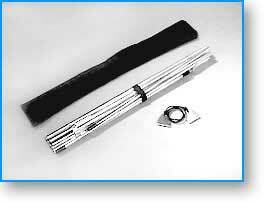 The Tripod Tiedown Kit will fit most professional tripods. 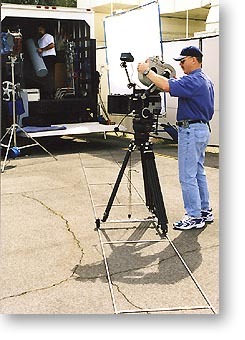 The Dolly Studio Wheels snap into position to allow the Dolly to be used off the Dolly Track on a smooth surface. 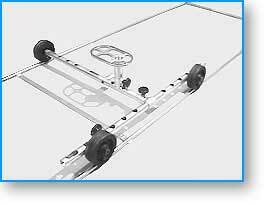 The regular Dolly Track wheels need not be removed. 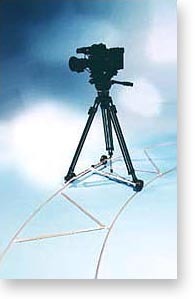 The Studio Wheels swivel 360 degrees independently to allow the Dolly to move in any direction. Studio Wheels can be mounted or detached in just seconds. 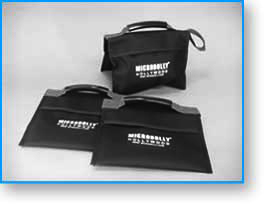 Made of sturdy ballistic nylon for long life, these well made Sand Bags travel flat and can be filled on location. The double pockets are vinyl-lined. The Sand Bag loop can be used to hang it on a tripod or light stand. Unlike other bags, these have large soft rubber handles and are designed for comfort. Each bag can hold up to 25 lbs. Sold in sets of three bags. This is something we believe every crew should have. These clever tie wraps make it super simple to manage electrical, video, and audio cables. Made from heavy duty rubber bands and attached to a patented flared-end "Bongo" pin, they provide a superior button style closure. 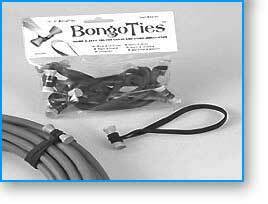 "Bongo Ties" are sold in packages of ten.